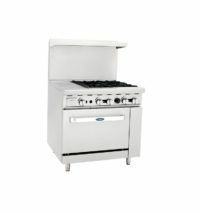 Let this Atosa two burner countertop range increase your kitchen’s productivity without losing valuable space to a full-size range. 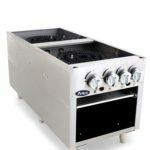 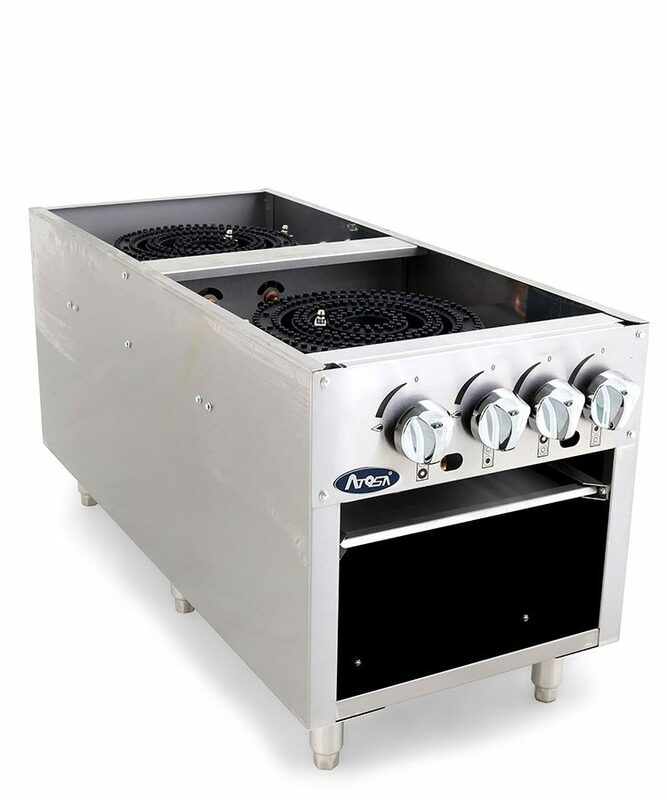 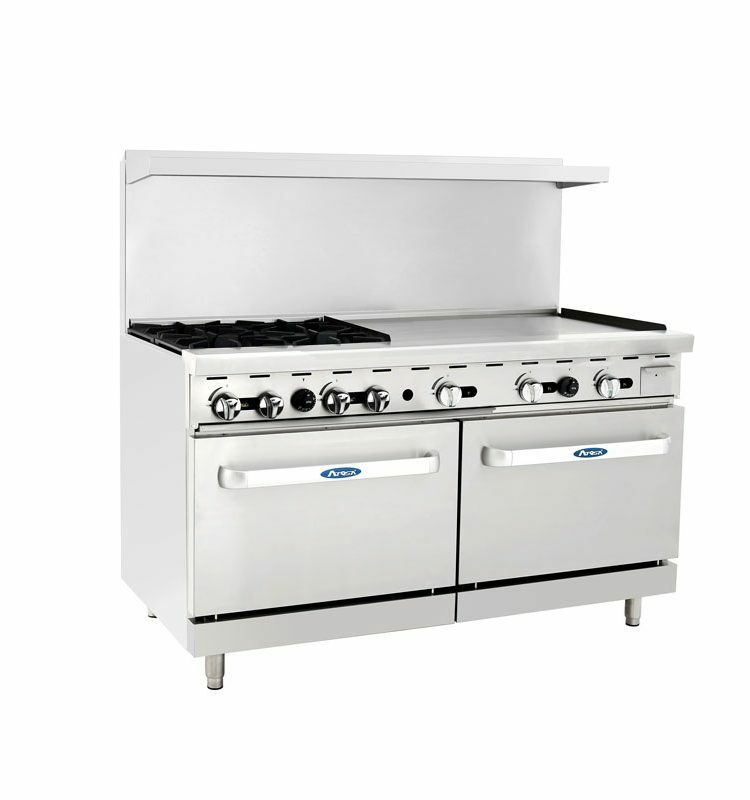 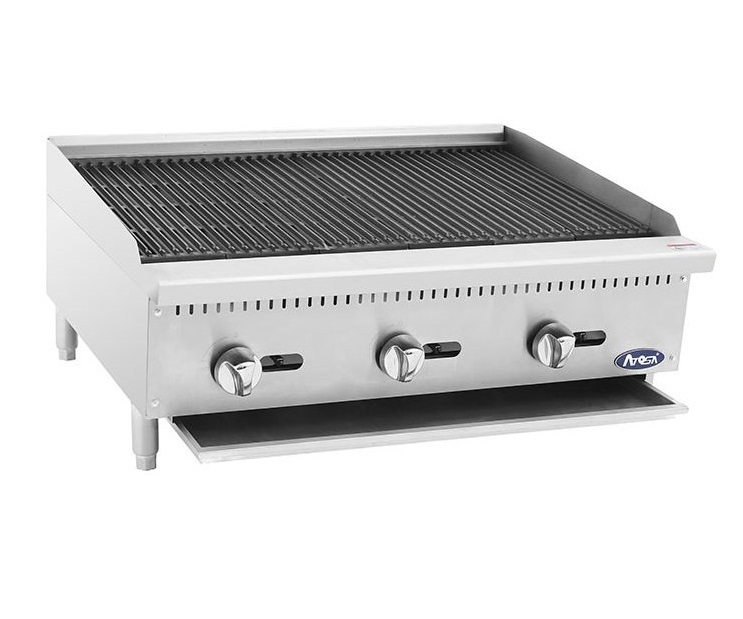 This commercial hotplate features two independently controlled burners with an above-average 80,000 BTUs of heating power per burner! 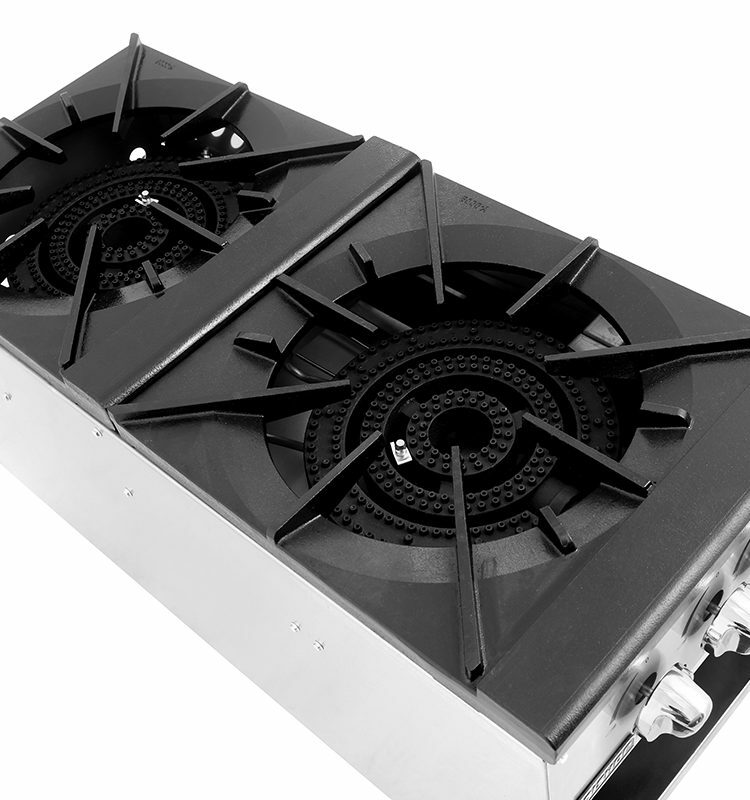 This allows you to cook two different foods, quickly and at the same time, or cook at half power when 80,000 BTUs is too many. 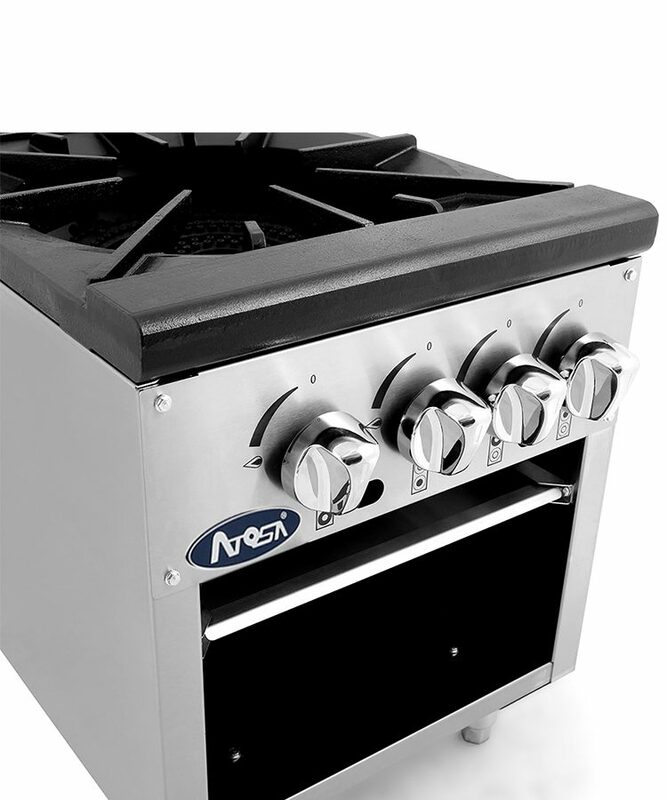 Four heavy-duty metal knobs allow you to quickly adjust the temperature. 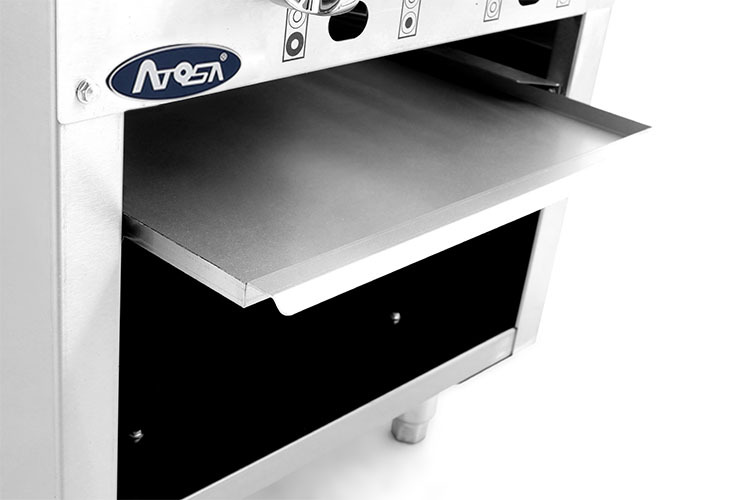 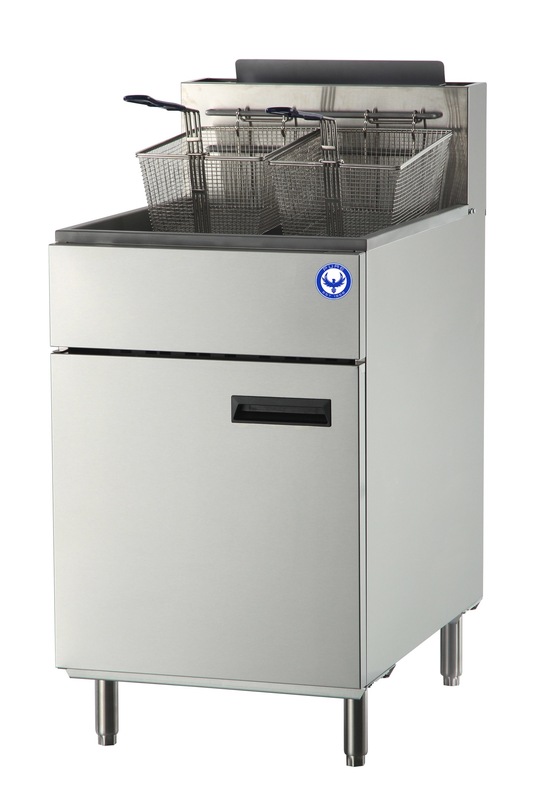 Its new full-width removable stainless steel drip pan makes for an exceptionally easy cleanup. 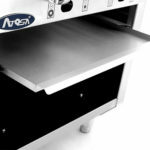 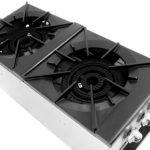 Be the first to review “Atosa Gas 2 Burner Hotplate Commercial Countertop Range” Click here to cancel reply.